My ride seems long and peaceful across miles of open farms and on this southern edge of Pennsylvania. Getting closer to the Muddy Creek basin you feel a sense of remoteness even though my odometer tells me I am barely 60 miles from downtown Baltimore. 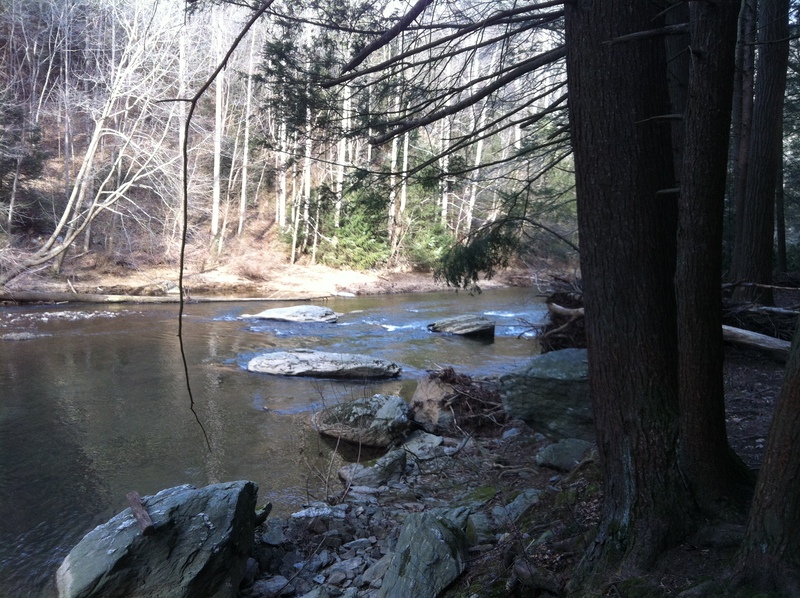 I am drawn to the clear, cold waters of Muddy Creek – a trout stream that ambles its way through southeastern York County, PA to the Susquehanna River close to the PA/MD border. I want to dip my toes, my hands, my face in the stream. The Muddy Creek basin is 71.9 square miles and the land use is predominantly agricultural (according to SRBHOS, the Susquehanna River Basin Hydrologic Observing System) although 37.2 percent of the stream miles in this area have riparian forest buffers on both sides extending to 300 feet or more. Read between the lines: The perfect place to build a cabin. There are no major cities in the basin and it is relatively undeveloped. Recharge, the process by which ground water is replenished, is 9.5 to 11.5 inches each year. Baseflow, the groundwater seepage into a stream channel, varies (30 to 80 percent) with a median of 60 percent. This stream has caretakers – the Muddy Creek Chapter of Trout Unlimited is a non-profit, grass roots, cold water conservation organization based in these beautiful rolling hills of South Eastern York County, PA. Their mission is to conserve, protect, and restore the Muddy Creek watershed for future use. The photos from their website make me anxious to get my new trout lure wet. If a calm day fly fishing isn’t your thing, check out the energetic post on riverfacts.com about a whitewater section of Muddy Creek that is downstream from the cabin in York County, PA, Paper Mill Road to Susquehanna River. Those of you who know me probably already guessed that I’ve asked Santa for a canoe. 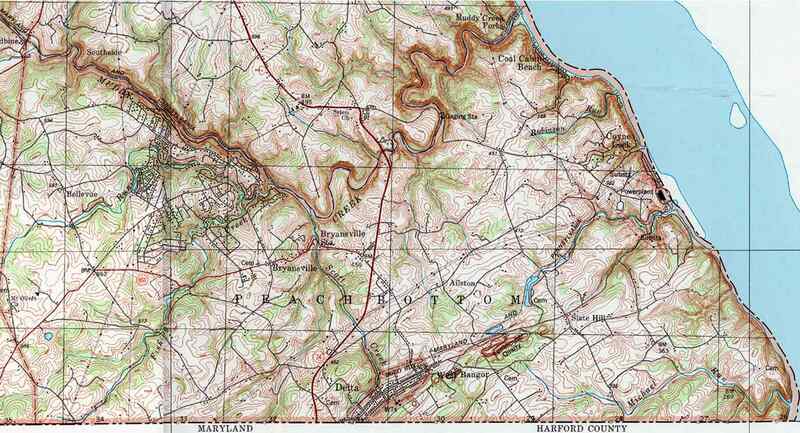 Our slice of heaven is in Peach Bottom Township (a terrific map can be found online) but more about that later.